Summer Entertaining Essentials with Chevrons and Stripes. 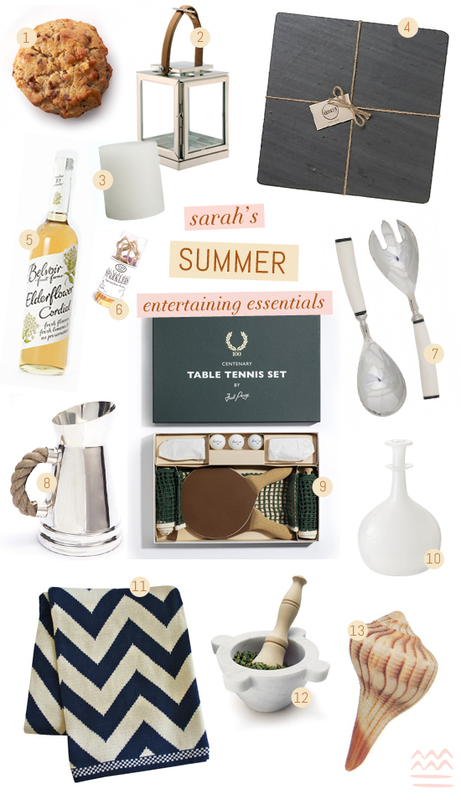 I’m very excited to kick-off a new series on the blog today where some of my favorite bloggers are going to share their summer entertaining essentials for being a savvy hostess this season. Kicking off the series is my new friend Sarah of Chevrons and Stripes! 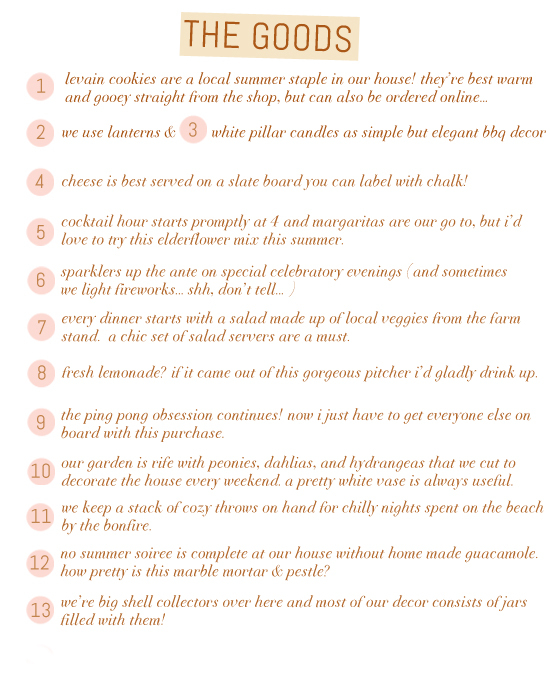 I was so excited when Kate invited me to guest post on my summer entertaining style because I absolutely live for the summer social season (phew, that was a lot of s’s)! I’ve spent every summer since I was born at my parent’s beach house in Bridgehampton, NY and below are a few of our BBQ and bonfire essentials. Stock up folks, because beach season is upon us! Minted prints. Scenes from the weekend. 9 Responses to "Summer Entertaining Essentials with Chevrons and Stripes." Totally obsessed with slate cheese boards. Love that pitcher – the rope handle is such a cute touch! I think I NEED that chevron throw in aqua! Love this new series idea! Also definitely agree about the slate cheese board. Similar cheese boards are also easy to DIY! Great great great post! Love everything! Nice description, you gave me some awesome ideas for my next BBQ/bonefire. I definetly loved this post!